Talk: Be prepared to give give a brief introduction to what you do (“Elevator Speech”). This is your opportunity to discuss your company, or your consulting expertise. What will our life be like with autonomous vehicles? Will it be the anticipated utopia or will there are new concerns that have to be considered? How will people regard this disrupting technology as it evolves? Will it be implemented with AI Neural Networks, or traditional Coding practices? The presentation provides a brief history of Automated Vehicles and Highways going back to 1925. He will discuss his company’s participation in the 1997 National Automated Highway Demonstration where autonomous vehicles were successfully demonstrated to be technologically feasible on a prototype automated highway in San Diego. Semi-automated features are being introduced on today’s automobiles. Many more features are in product development and nearing production. The presentation will discuss adoption of these features and will show how vehicle to vehicle communication will facilitate the future of autonomous vehicles. 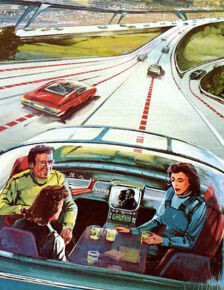 Finally, the presentation will offer a future vision of what life may be like with autonomous vehicles. : Robert Neff is engaged in Sales and Marketing for companies involved in high technology products, projects and people through Sales and Marketing Insight, a strategic marketing company. He is currently a corporate officer in the Intrass Corporation, which is a startup company involved in patented 5.9 GHz Dedicated Short Range Radio Communication (DSRC) technology for Vehicle-to-Vehicle (V2V) communications. He is past Chairman of the SAE DSRC Vehicle Safety Subcommittee and is a current member of the SAE DSRC Standards Technical Committee that has written the interoperability standard SAE J2735 so vehicles can communicate with each other and with the infrastructure (V2V and V2I). 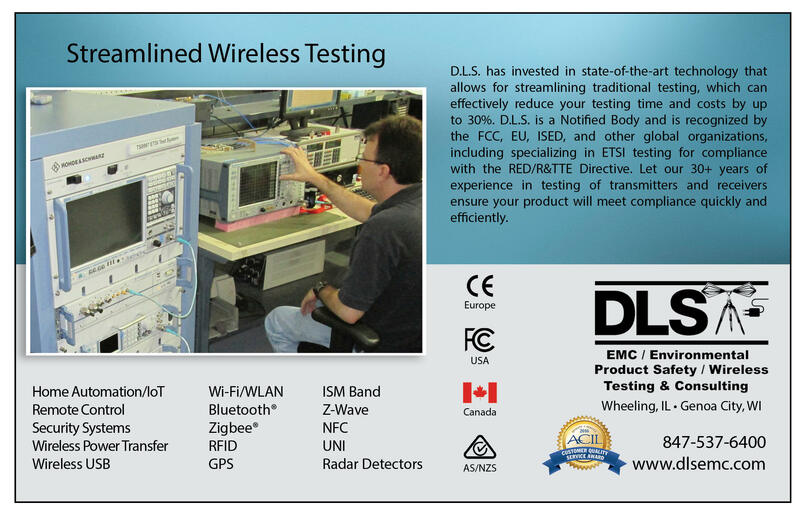 The committee has recently published J2945 which displays the Common Performance Requirements for DSRC communication. Mr. Neff Graduated from Ferris State University with a Bachelor of Science Degree in Business and an Associate in Arts Degree while studying Engineering. Since January 2014, he has served as Chairman of IEEE Southeastern Michigan (SEM) Section and since 2007 as Marketing Chairman of IEEE SEM EMC Society’s EMC Fest event. He is an Advanced Accredited ski instructor actively teaching at Mt. Brighton, Michigan during the winter and at Vail-Beaver Creek, Colorado in the Spring. NOTE the date/day change from typical meetings! 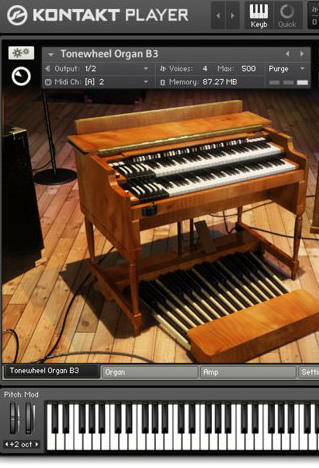 The computer-based Digital Audio Workstation (DAW) has revolutionized music production. However, users of these systems face challenges to emulate de facto “Gold Standard” sounds of classic recordings produced by analog equipment that is no longer available. This presentation will discuss approaches to reproducing such “classic” sounds in the digital environment during the audio recording, mixing, and mastering phases of the music production process. : Steve has had a varied career involving technical and creative aspects of music and audio disciplines. On the technical side, he has held a number of engineering and management positions doing hardware and software development for Sony, House on the Rock, Sound Creation, and Peabody Music Conservatory. On the creative side he has written music in genres from opera to country-western, and continues to be active as a performer/producer. He holds degrees in Astronomy, Physics, Mathematics, and Music from the UW Madison, and is a member of the Audio Engineering Society (AES) as well as a senior member of the IEEE. We have a new website! Our old website has served us well for many years, but the time for a new website has come. The url (http://sites.ieee.org/msn) here is where you can find our new home on the internet! It uses WordPress, which is an open-source content management system. It is robust and full of features. WordPress is also under constant development and improvement, so this website will be very functional well into the future. Our Webmaster, Nate Toth, will be adding to the functionality of the site periodically, and working to improve the look/feel based on feedback. So please, send him any thoughts/suggestions on the site. Check it out! Social Media for IEEE-Madison: IEEE Madison has a Facebook page ( https://facebook.com/IEEEMadison) atTHIS LINK! You can find events that IEEE Madison and its related affinity groups are hosting. 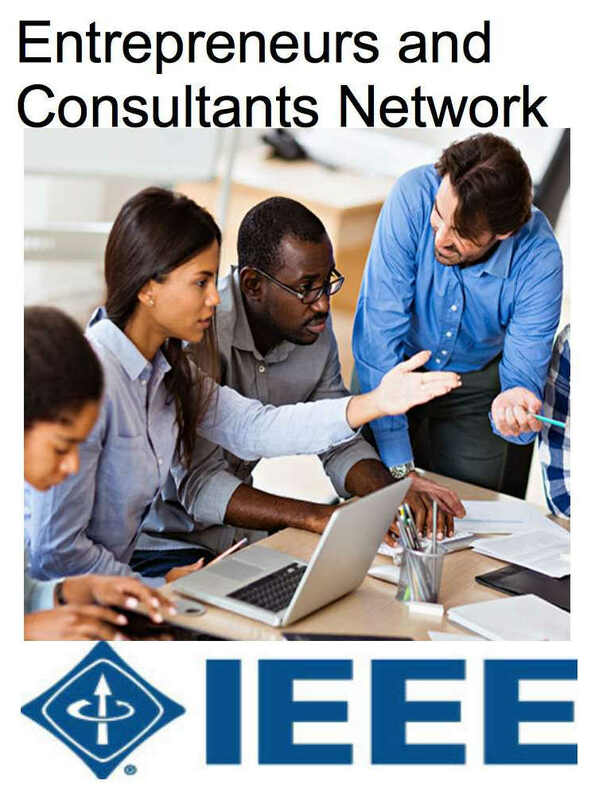 It’s a place to connect with your fellow IEEE members from around the area and see what they are up to. Check it out, and Like/Follow the page! The September LMAG Meeting and Tour: (Photos of the tour are available on the links by Tom Kaminski and Charles Cowie.) 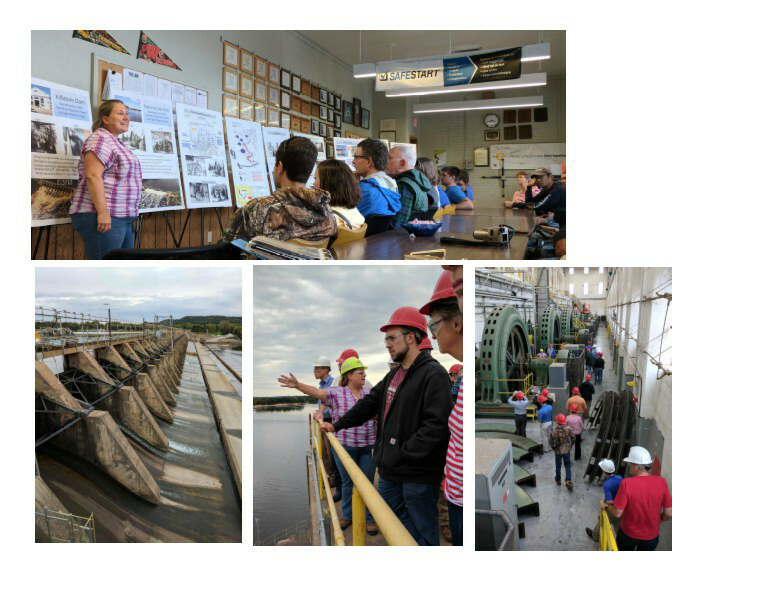 The tour was hosted by Amanda Blank, Site Manager of Hydroelectric and Gas Generation for Wisconsin Power and Light Co, an Alliant Energy Corporation. She manages the 31 MW Prairie du Sac Dam as well as the 10 MW Kilbourn Dam in Wisconsin Dells and three simple-cycle combustion turbine sites. Amanda received her BS in Civil Engineering from Marquette University and is a registered Professional Civil Engineer in Maryland. Preceding the tour, Amanda gave a summary description of the Kilbourn plant follower by a detailed description of the Prairie du Sac plant. She also described the complement of dams and generating stations on the Wisconsin River and its tributaries. The tour included the switchgear areas, the dam and the generator floor. The modern enclosed switchgear connects the generators to a common bus. Part of the original open-frame switchgear has been retained as a historical display. Power is conducted from the bus to the to the grid-tie transformer on top of the bluff through a cable duct. The eight Allis Chalmers synchronous generators are original to the 1909 construction. They are believed to have been rewound only once since the conversion from 25 Hz in the 1930’s. The open-frame generators are driven by Allis Chalmers Francis turbines. They are currently rated 5400 kVA each at 4160 volts. They operate at 120 RPM. The original rotating exciters are still in place, but excitation is now provided through the slip-rings by electronic excitation units. The equipment is horizontal-shaft with the turbines driven through shaft seals mounted in the walls of the turbine chambers. The dam includes a navigation lock, but the downstream side is dry due to a reduction in the river depth. The dam forms Lake Wisconsin, but the lake is not used for energy storage. The dam is required to operate run-of-river, passing all of the water and naturally flowing debris that would flow in the absence of a dam. 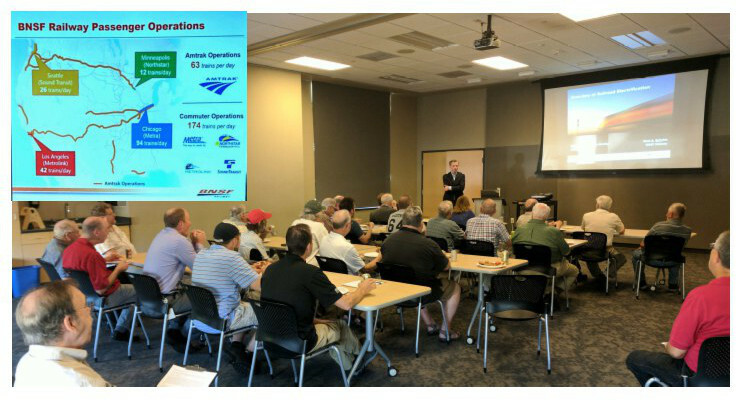 September Section Meeting: Mark Schulze’s talk, “Overview of USA Railway Electrification” was a well attended, broadly focused talk on the economically important railway freight industry. His talk was packed with economic and technical details on the industry in general, and BNSF in particular. The Railway Industry has nearly 140,000 miles of track, employs 180,000 and hauls about 40% of all freight in the US with revenue of over $70 Billion. Sixty percent of all autos are hauled by rail as well as 30% of all grain. BSNF mostly covers the Western part of the USA and in addition to freight, has passenger operations in Los Angeles, Seattle, Minneapolis, and Chicago of over 170 trains per day. In the first half of 2017, BNSF had over five million freight car trips with over 50% hauling Consumer items. He mentioned that Chicago is a huge rail hub and that freight from the West coast arrives in Chicago in two days, but takes two more days to get through Chicago because of congestion. Train safety and accident prevention are an active area of research and development. Train derailment is due to human factors 28% of the time, track and signaling 30%, and equipment failure 26% of the time. A number of new technologies are being used to deal with the problems, including extensive track inspection (a fleet of ultrasonic, infrared, and ground penetrating rail and track geometry inspection equipment as well as bridge and tie inspection equipment). BNSF has installed over 2000 sensors to analyze equipment problems including vision systems, some of which are UAV (drone) borne. Mark also described BNSF’s Positive Train Control System that integrates a number of signaling and control sub-systems to automatically identify and brake trains that are not braking properly. Eventually, the system will allow trains to operate with closer spacing safely for congested routes, improving efficiency. The final portion of the talk covered electrification. Europe is heavily electrified with catenary distribution. Unfortunately, because of the huge number of US miles of track, catenary electrification would incur a huge capital expenditure. It is not likely to occur any time in the near future. BNSF has built and tested alternate fuels, such as natural gas, with a gas “tender”, but it is not likely to displace the diesel fuel in the near future. BNSF is watching the electric automobile industry and feels that battery technology may attain the power storage density required for freight operation. Mark looked to the audience to help identify technology that BNSF can use for the conversion. The ECN meeting will be held at Sector67. Recently, Chris Meyer, the founder of Sector67, was severely injured in a freak propane explosion. He will be hospitalized for at least a month and will take over a year to fully recover. Sector67 will need economic help to weather this setback. Please consider donating to this GoFundMe link for donations to Sector67. October Section Meeting — This meeting is being held jointly with the University of Wisconsin Student IEEE Branch in Engineering Hall 1800. We hope to attract students and IEEE Members to the talk. The event is from 3:00 PM until 5:00 PM. Parking in Lot 17 should be available by 3:30 or so. The talk will be accompanied by demonstration high-end vehicles provided by local dealers. The high end cars already include many “driver less” or “driver assisted” features. November LMAG Meeting — Steve Schultheis, our current IEEE Madison Section Secretary, will be lecturing on the analog verses digital organ topic. His talk is entitled “Back to the Future: Emulating Classic Audio with 21st Century Technology”. He will also be performing for attendees. It promises to be an “entertaining” meeting. IEEE-USA Government Relations: ENGINEERS AND SCIENTISTS NEED TO BECOME POLITICALLY ACTIVE! Historically, we scientists and engineers have viewed politics as being beneath us and that our involvement in the process would dirty our hands. Well folks, science and technology have now become political whipping boys. Data not agreeing with current political positions is simply rejected. The technical community, being part of the so-called intelligentsia is derided. For the sake of our country’s future and ours, we technical folks must fight back and become politically involved. Just how to do this is the subject of an informal lunch meeting to be held at noon on Oct. 20 at the Esquire Club, 1025 N. Sherman Avenue, Madison. Our speaker is Mr. Gary Goyke. Gary was a state senator for 10 years where he was chair of several committees including Education and Banking and Insurance. He currently helps clients in their dealings with state and local governments. He has an intimate knowledge of the legislative process and has proven success in dealing with legislators and state agencies. Volunteers Needed: The IEEE-Madison Section will hold formal elections in November. Please consider running for elected office. Chair, Vice Chair, Secretary, and Treasurer positions are open to anyone and At-Large members are open to those who have held past elected positions. In addition, please consider one of the appointed positions, such as Educational Activities Chair. Contact Steve Schultheis (ss at ieee.org) if you are interested in running. The IEEE-Madison Section of the IEEE is a section in Region 4 of the IEEE-USA organized to serve IEEE members in the Madison, WI area with over 600 members. The 2016 Officers and Board Members are Tom Kaminski – Chair, Scott Olsen – Vice Chair, Charles Gervasi – Treasurer, Steve Schultheis – Secretary, Nate Toth – Webmaster, Tom Kaminski – ECN Chair, Dennis Bahr – Engineering in Medicine and Biology Chapter Chair, Chuck Kime – Life Member Affinity Group Chair, Charles Cowie – Life Member Affinity Group Vice Chair, David Jensen – Life Member Affinity Group Secretary, Members at Large: Clark Johnson, Craig Heilman, Dennis Bahr, Sandy Rotter. The IEEE Madison Section Newsletter Published 9 times per year (Jan-May, Sep-Dec) by the Madison, Wisconsin Section of the Institute of Electrical and Electronic Engineers (IEEE), for its members in South-Central Wisconsin. Online at http://ieee-msn.truenym.net/ For address changes: notify IEEE headquarters at: http://www.ieee.org/ or address-change@ieee.org. Editorial or comments contact: Tom Kaminski . Permission to copy without fee all or part of any material without copyright notice is granted provided the copies are not made or distributed for direct communication advantage, and title of the publication and its date appear on each copy. To copy material with a copyright notice requires specific permission. Please direct all copyright-related inquiries or requests to the IEEE Copyright Office. Thank you. Welcome New Members to IEEE-Madison Section! !